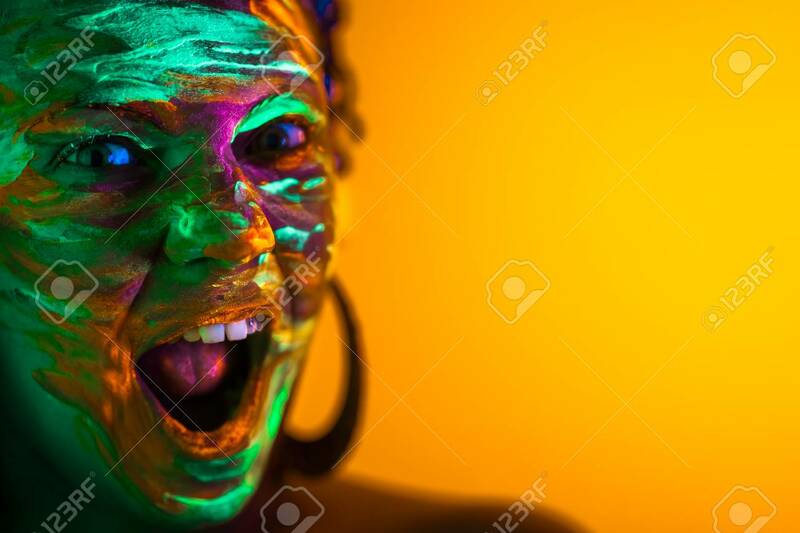 Portrait Of Girl With Fluorescent Paint Makeup. Dye Glowing Near UV Light. Woman With Open Mouth In Neon Light. Night Club, Party, Halloween Psychedelic Concepts Foto Royalty Free, Gravuras, Imagens E Banco De Fotografias. Image 114516284.